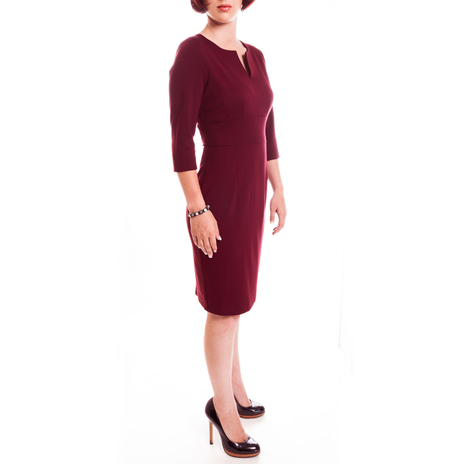 Our versatile double-knit jersey pencil dress has a high split neck at front, small shoulder pads, ¾ length split sleeves, fitted waistband with concealed zip and inverted pleat at back. 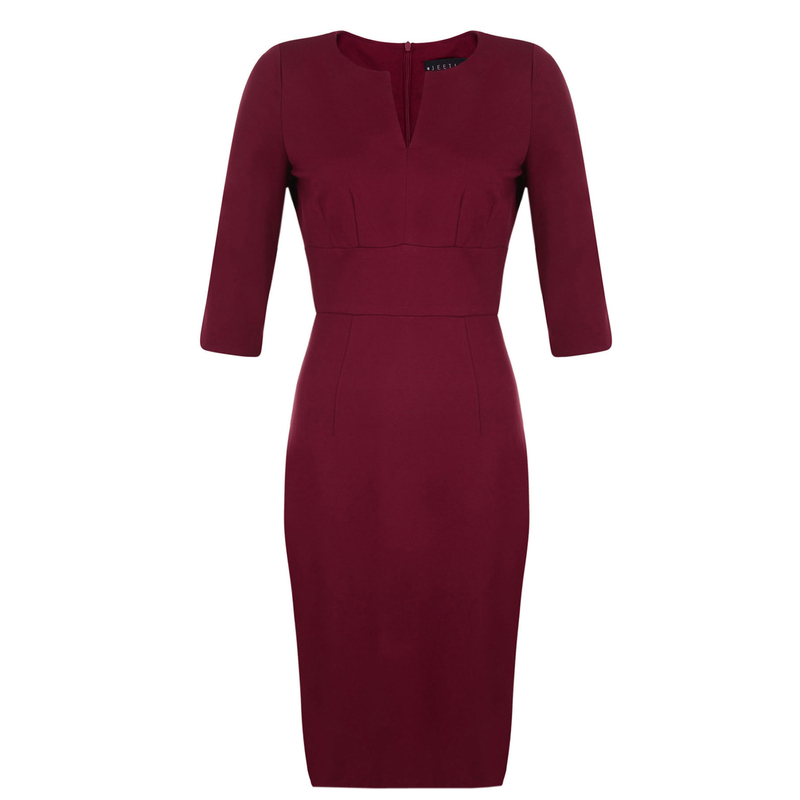 This shade of burgundy is a hot trend and designer favourite this season. 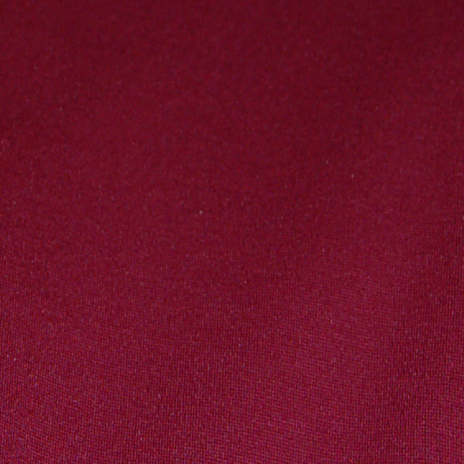 The jersey fabric has a lot of stretch, breathes well and doesn’t crease, making it very comfortable to wear at work. Watch the video of Laura Tobin wearing this dress on ITV weather. Fitted shorter at the waist than standard JEETLY petite dresses, the Victoria dress flatters the figure and accentuates curves by fitting tightly above the waist and slightly looser below the waistband. 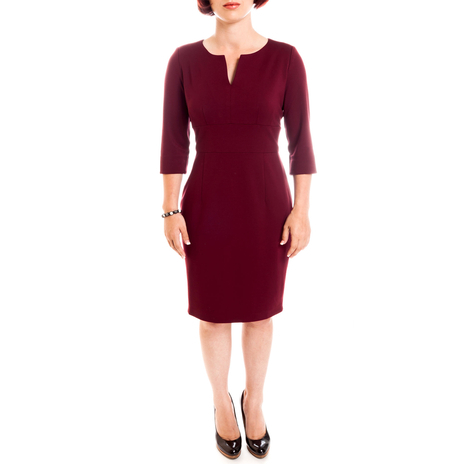 The Victoria dress is a small fitting dress so choose the next size up if you want to avoid a figure hugging look. Our model is 5'3" and is wearing a size 8. Dress length from highest point of shoulder to hemline is 92cm. Sleeve length is 39cm. COMMENTS : extremely comfortable! Wore it all day at work and it didn't crease at all. Loved the stretchy fabric and stretch lining because there was no worry of dress tearing when I climbed into our mini bus. COMMENTS : I bought this dress last month, it is so comfortable and stretchy, a very soft fabric. I can understand why Laura Tobin has worn it three times.Will buy again from Jeetly. COMMENTS : Comfortable yet stylish, well sewn. Zipper is fine and lining is in place. I bought a size 10 which was true to size (have an hourglass figure). Bought it with a discount, would still be a good buy at a regular price. COMMENTS : This dress is a beautiful colour and a lovely soft material The fit is perfect for a petite frame and is true to size. Will be a very easy to wear dress for work. Add a thin black belt with patent heels for work. Wear with gold sandals, clutch and gold belt paired with a short black leather jacket for evening chic.